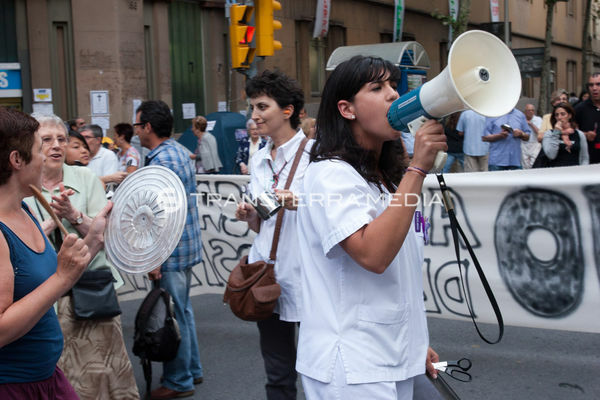 Protests against the closure Hospital "Dos de mayo" Barcelona, Spain. One of the sectors most affected by government cuts is public health. Citizen protests against these cuts have been very intense, measures more criticized have been drug copayment based on income, which for the first time will have to pay the retirees and free medical care to illegal immigrants.